Photo credits: Diary of a Quilter (top left); Happy Quilting Melissa (top right); ChezStitches (bottom left); Ellison Lane (bottom right). 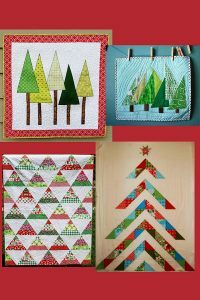 These patterns and design ideas use different ideas to construct the tree blocks, but they all produce quilts with a whole lot or forest of trees. Every one of these designs is easy to piece and quilt. Patchwork Forest by Amy Smart at Diary of a Quilter is my choice for the holiday quilt to make this year. I just love this easy design and the quirky trees that are not all the same. These crazy patch trees are arranged into the shape of a larger tree for a different arrangement of the many trees theme. 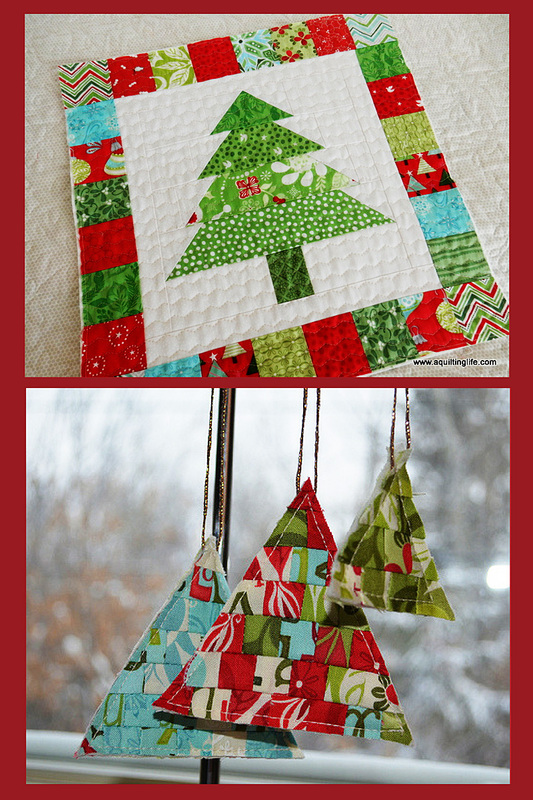 This Easy Christmas Tree Patchwork Block Tutorial at ChezStitches shows a totally different but equally easy way to piece trees, using mirrored triangles joined back to back. 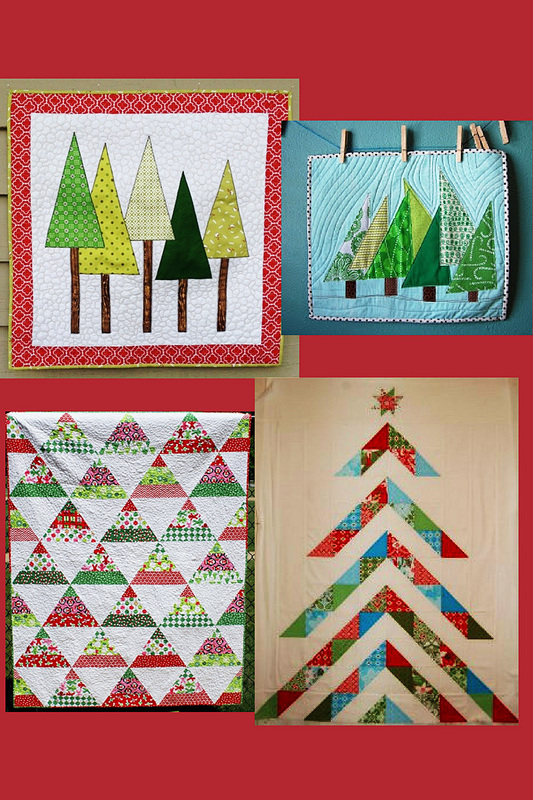 This way to make strip pieced trees adds more fabric variety within each tree. You can play with this to achieve bedecking and bedazzlement and simulate trimmed trees. 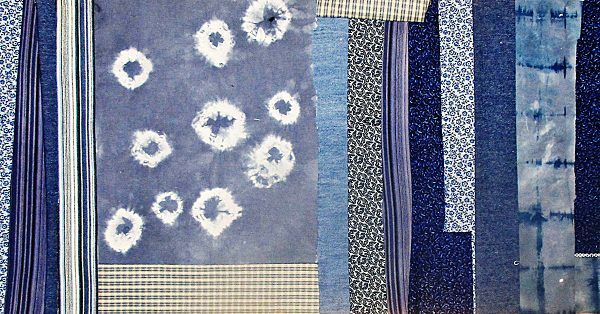 These quilt designs feature a single tree. Photo Credits: Quilting at About.com (top left); Treasures-n-Textures (top right); Material Girl Quilts (middle left); Hoffman Fabrics (middle right); McCall’s Quilting (bottom left); Waterwheel House Quilt Shop (bottom right). This tutorial for a single Christmas Tree Patchwork design is as easy as it gets. I’m inspired by this Emma’s Tree design to use reds and gold squares for twinkle and tree trim when following the About.com pattern above. Here is a different single Christmas Tree Patchwork design constructed from triangles. 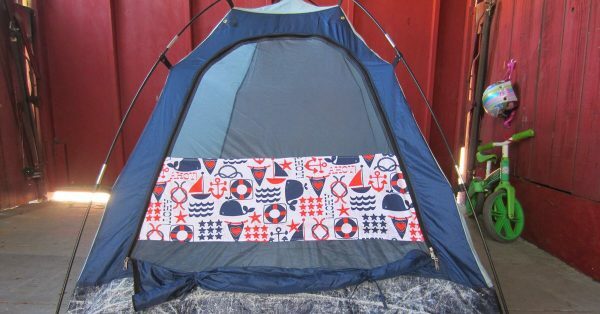 I love the metallics for the background fabrics on this, and the easy quilting of the individual triangles. Here’s another triangle Christmas Tree Patchwork, this one built from equilateral triangles, at Hoffman Fabrics. O Tannenbaum is Christmas Tree Patchwork made from Log Cabin style blocks. This free miniature quilt pattern from McCall’s includes a star on top and presents underneath the tree. This design, suggested by Moose Creek Quilting, can serve in lieu of a real or artificial tree. 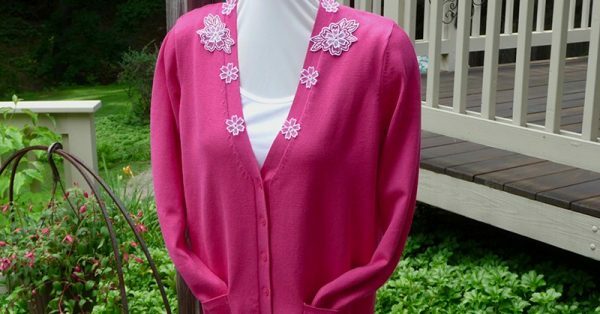 The pattern includes sewing 25 red buttons to hang tiny patchwork or other ornaments you sew yourself. I love this version of this pattern that was made by Waterwheel House Quilting Studio using Kaffe Fassett fabrics. These designs are a little different, reflecting a more modern or abstract feel. Photo credits: May Chappell (top left); Jacey Craft (top right); Ann Kelle (bottom left); Moda Bakeshop (bottom right). This Mod Tree Wall Hanging by May Chappell makes me think of a Christmas Tree farm. 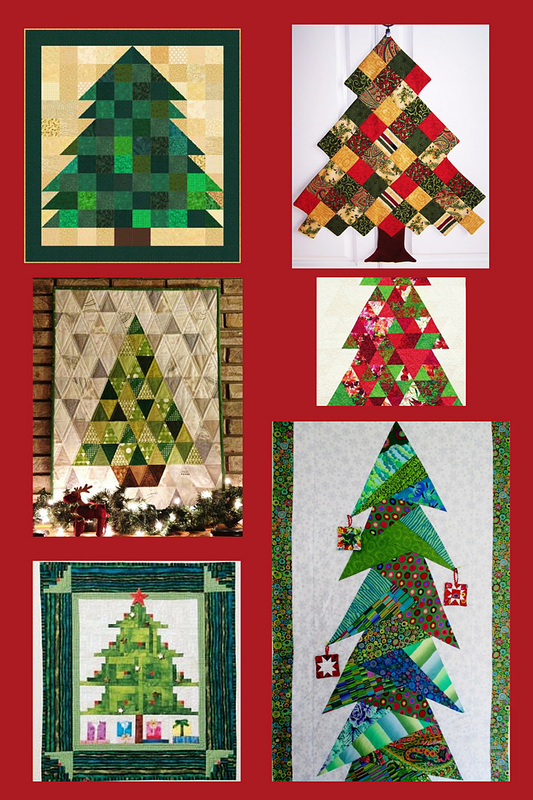 This modern Christmas Tree Patchwork quilt by Ann Kelle shows another kind of happy trees, this time with colorful, trimmed trees in an abstract triangle design. 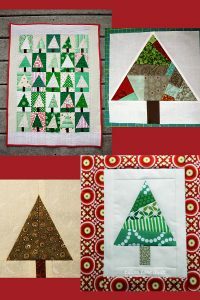 The Oh, Christmas Tree Quilt by Amy Rivera for Moda Bakeshop is a completely different take on Christmas tree patchwork. It looks sophisticated but is easy to pull off. 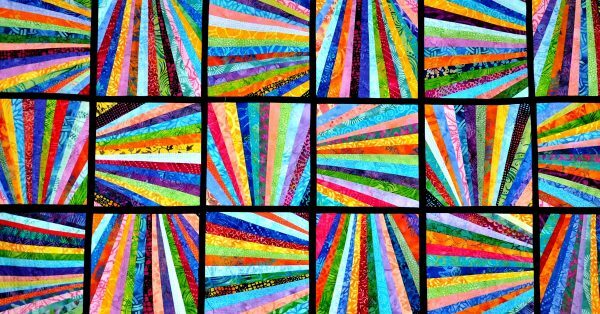 This quilt is extra fun because it calls for a charm pack to use for the colorful patchwork strips. Every quilter needs a patchwork tree skirt. 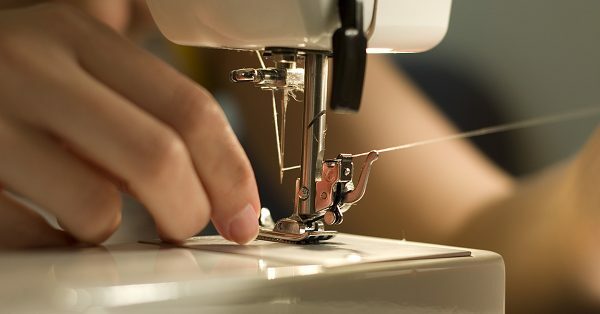 If you haven’t made yours yet, check out this full step-by-step video tutorial from the fat quarter shop. This beautiful tree skirt is made from a jelly roll of fabrics. Here are the rulers needed for this tree skirt project. Photo credits: A Quilting Life, top; She Can Quilt, bottom. I love the border and construction of this pillow that uses still another Christmas Tree Patchwork design. You could make a forest of trees using this design and turn it into another quilt, if you wanted to. But I think a pretty patchwork pillow is a lovely bit of holiday cheer for any sofa or chair. 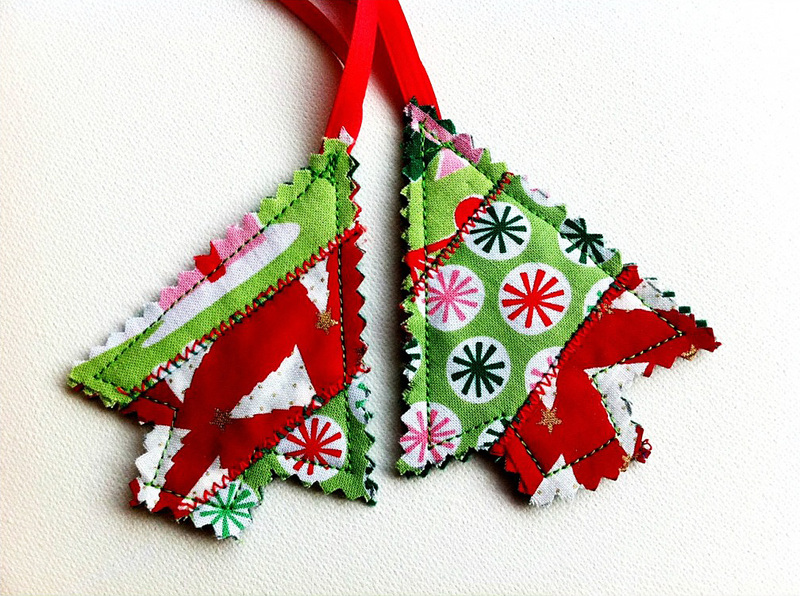 These Christmas Tree Patchwork ornaments are a super small project. 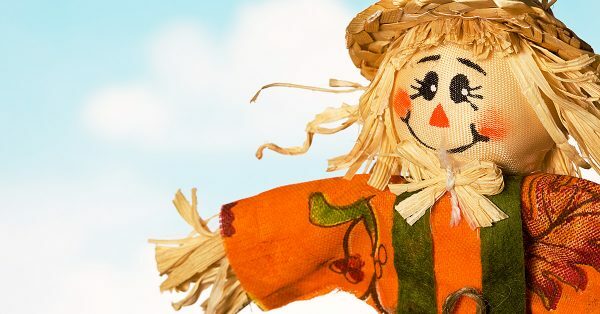 Makea bunch of these for your tree, or they will make precious present toppers. You could tie one on to dress up gifts you give this year. 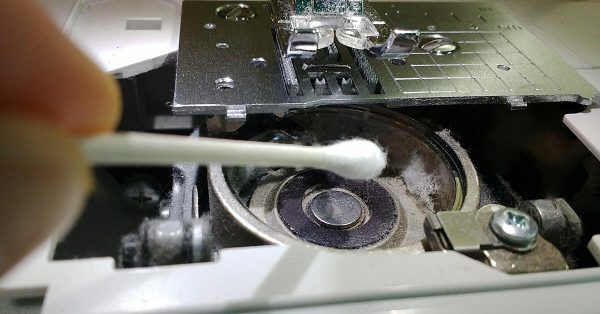 I love this project because it uses such tiny scraps. I hope these Christmas Tree Patchwork projects have inspired you and that you’ll make one patchwork tree or many this holiday season. Which one of these fun designs do you like the best?